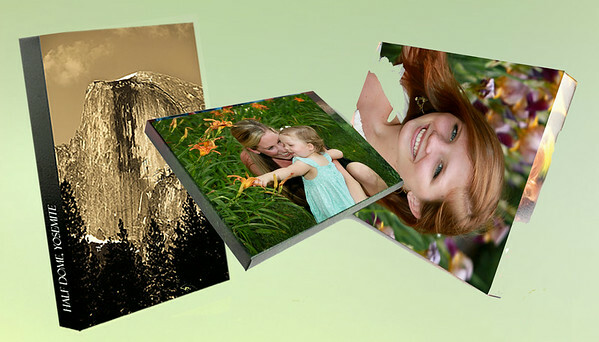 Any image on the site can be printed in any format or on any medium.  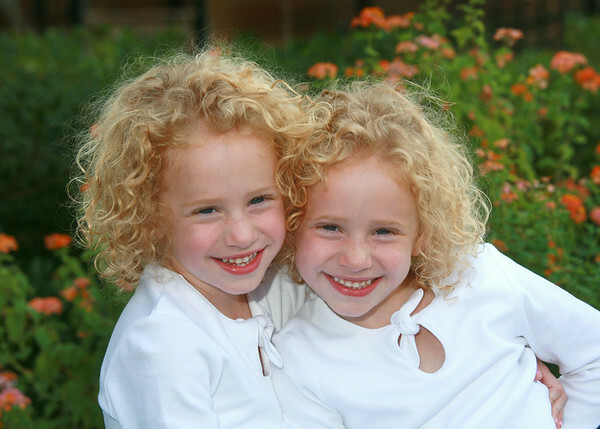 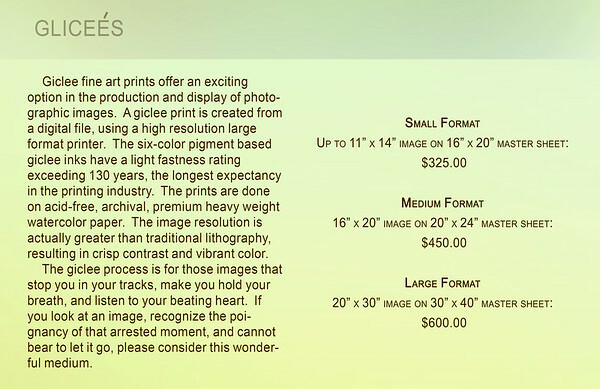 Any image on the site can be printed in color, black and white or sepia. 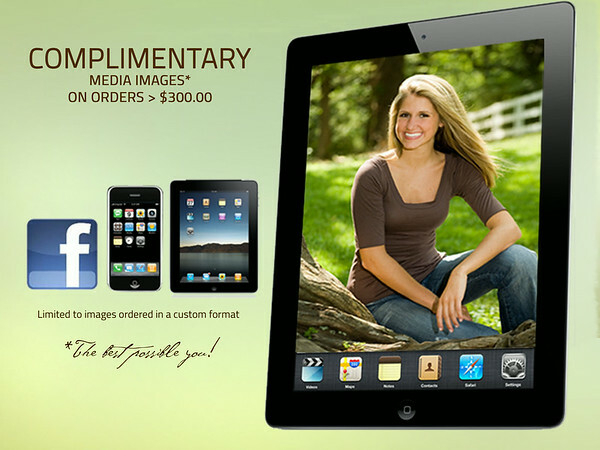 Images are on permanent file and do not expire on the website. 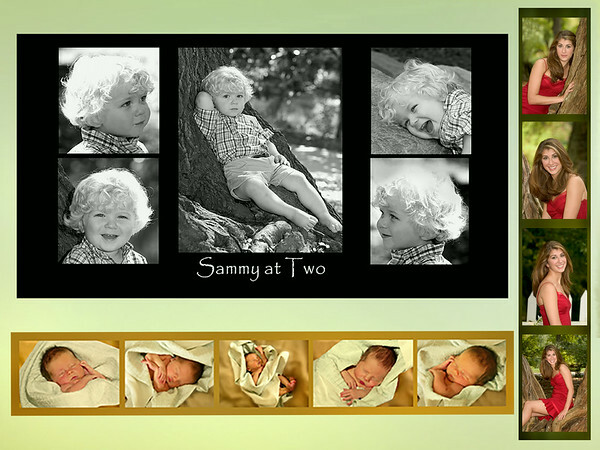 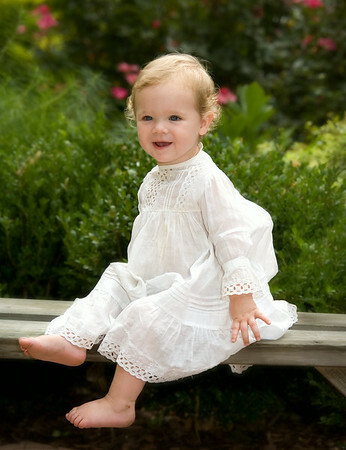 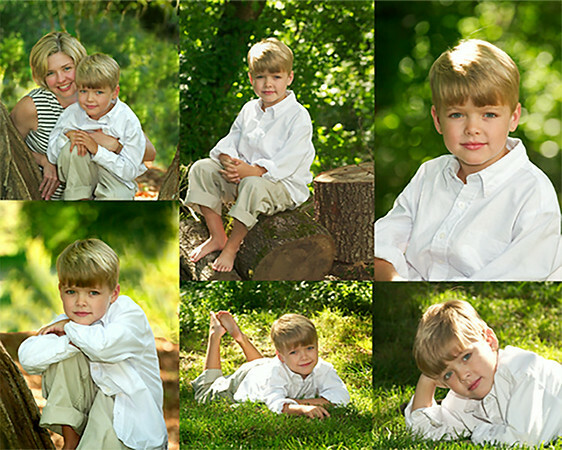 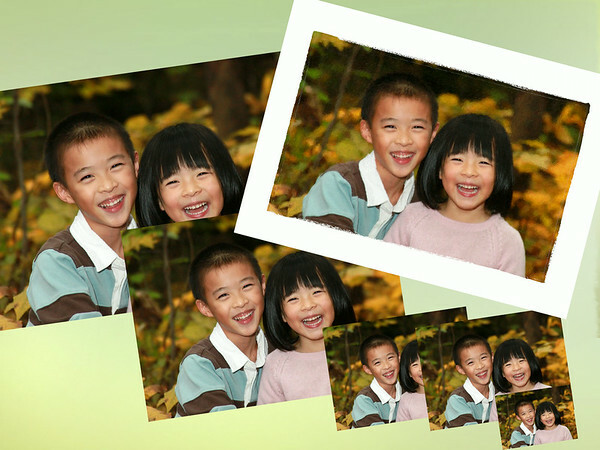 MACHINE PRINTS CAN ONLY BE ORDERED FROM SCHOOL OR OPEN FAMILY SESSIONS. 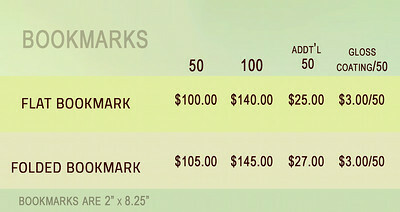 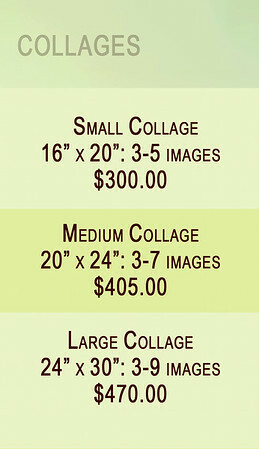 THOSE IMAGES HAVE BEEN RETOUCHED, AND BENEFIT FROM VOLUME PRICING. 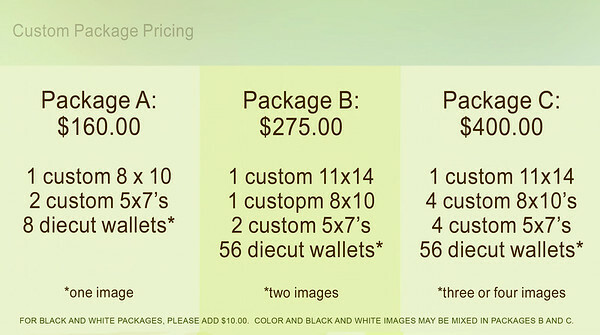 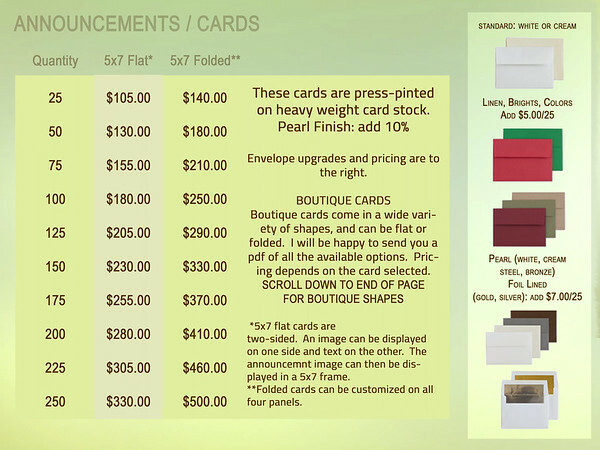 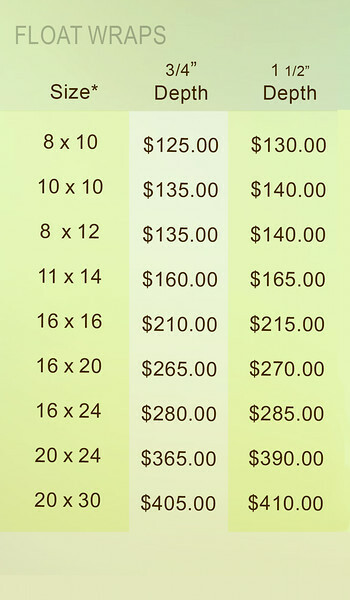 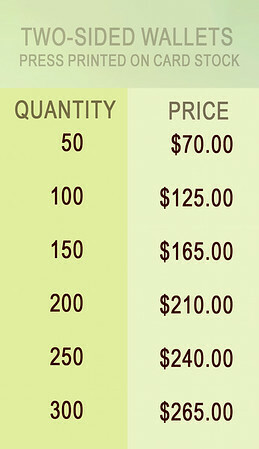 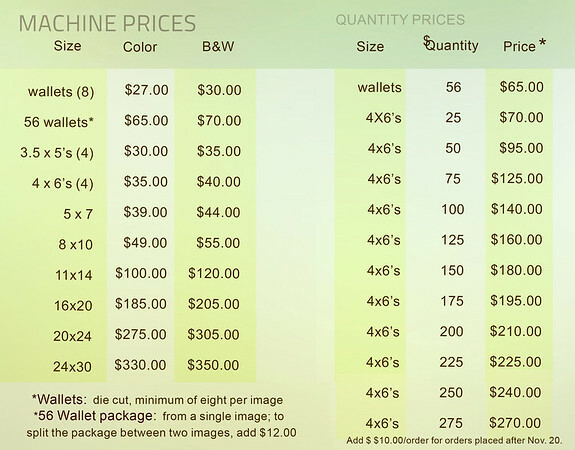 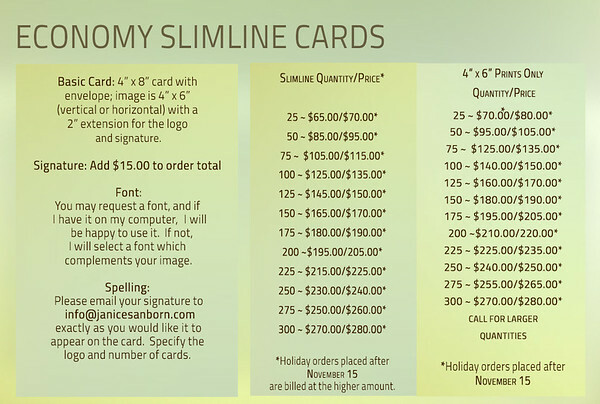 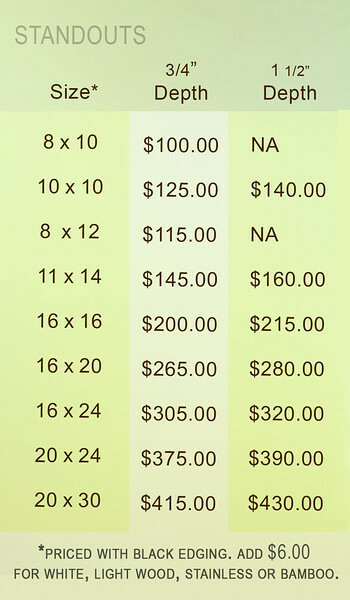 QUANTITY PRICING CAN APPLY TO ALL IMAGES, BUT IMAGES ORDERED FROM A CUSTOM SESSION WILL NOT BE RETOUCHED UNLESS A CUSTOM PRINT IS ALSO ORDERED. 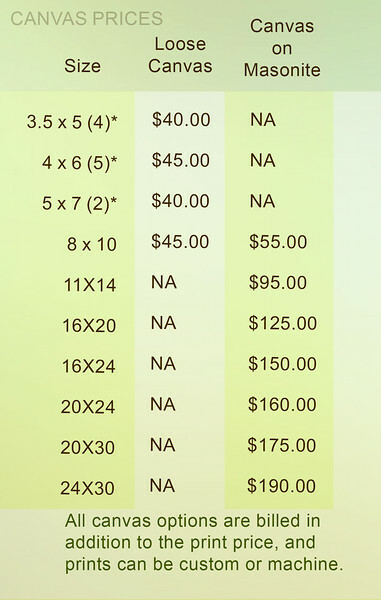 PRINTS CAN BE DONE ON LOOSE CANVAS OR BONDED ARCHIVALLY TO A MASONITE BACKING, WHICH PROTECTS THE PRINT AND PREVENTS STRETCHING. 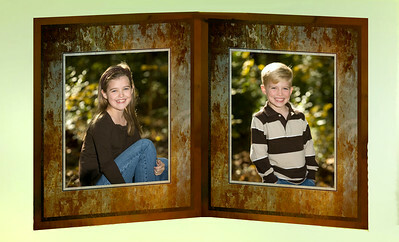 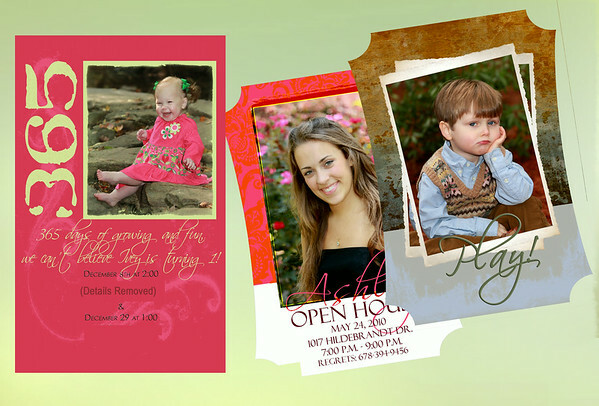 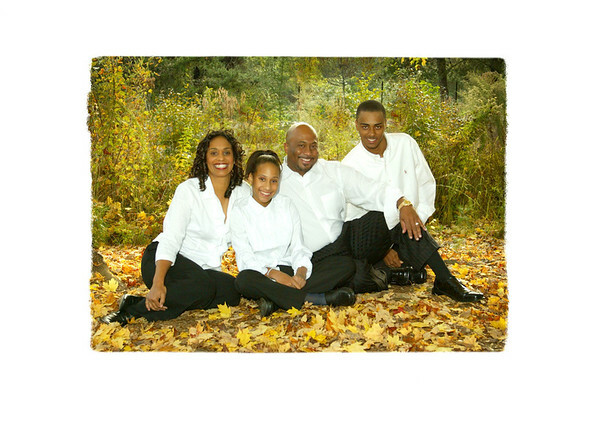 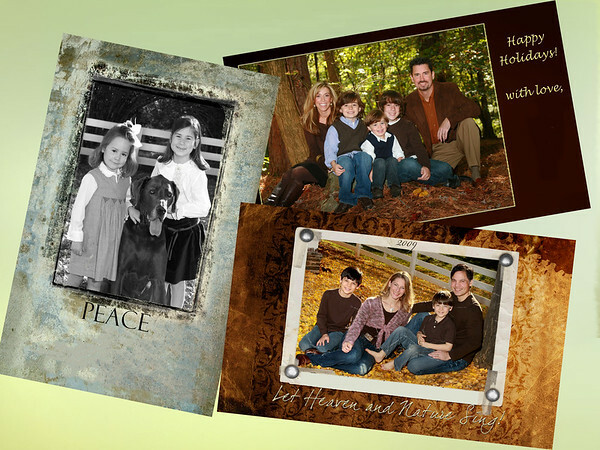 YOUR IMAGE IS PRINTED DIRECTLY ONTO HIGH QUALITY ALUMINUM WITH 1/4" ROUNDED CORNERS. 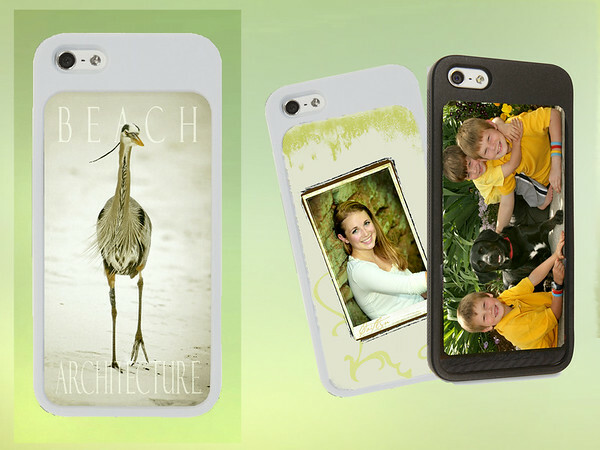 A DYE SUBLIMATION PROCESS PRODUCES A HIGH GLOSS SURFACE ON THE METAL. 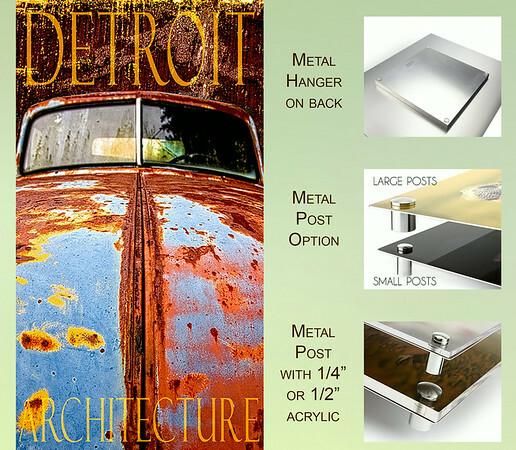 PRINTS LOOK GREAT ON AN EASEL OR MOUNTED WITH OPTIONAL POSTS OR HUNG BY A METAL HANGER. 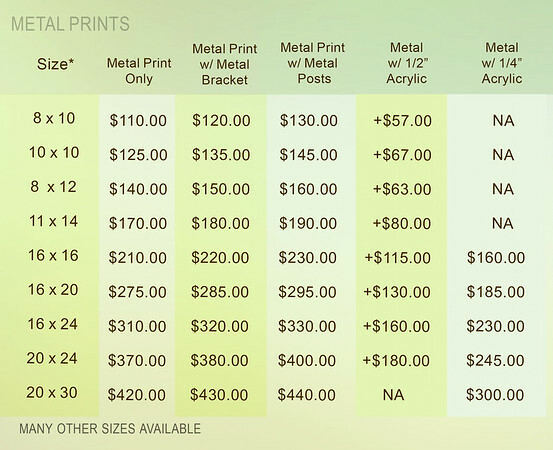 1/4" OR 1/2" ACRYLIC CAN BE ADDED TO THE FRONT OF THE PRINT. 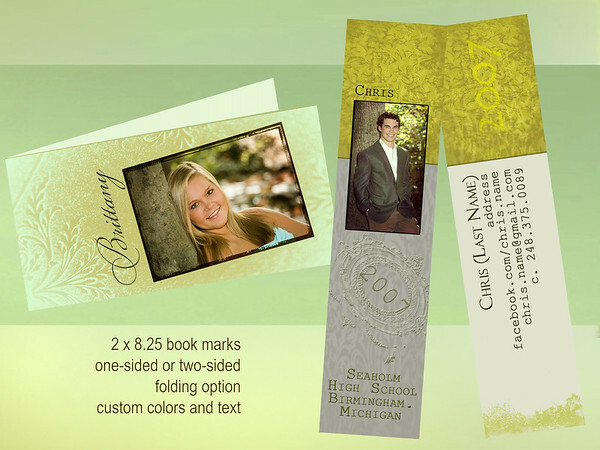 GALLERY WRAPS DO NOT REQUIRE A FRAME. 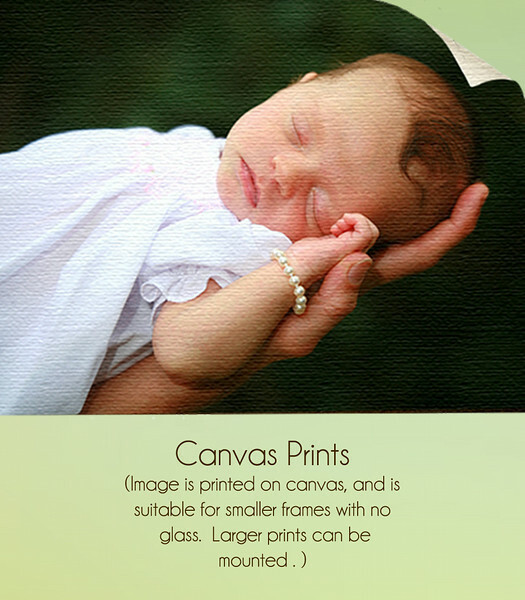 THEY ARE PRINTED ON A FINE ART CANVAS, WHICH IS WRAPPED AROUND A STRETCHER FRAME. 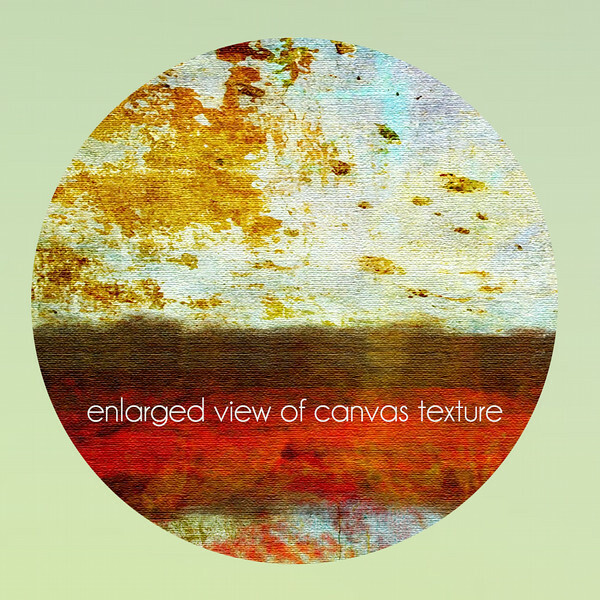 CUSTOM TEXT CAN BE ADDED TO THE IMAGE OR TO THE EDGES. 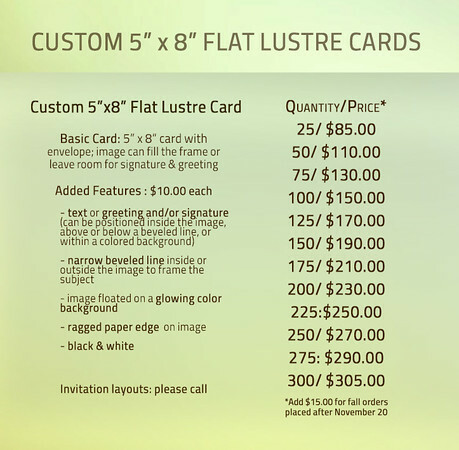 THE IMAGE IS MATTE LAMINATED FOR PROTECTION, AND THE WRAPS COME WITH BACKING AND FRAMING HARDWARE. 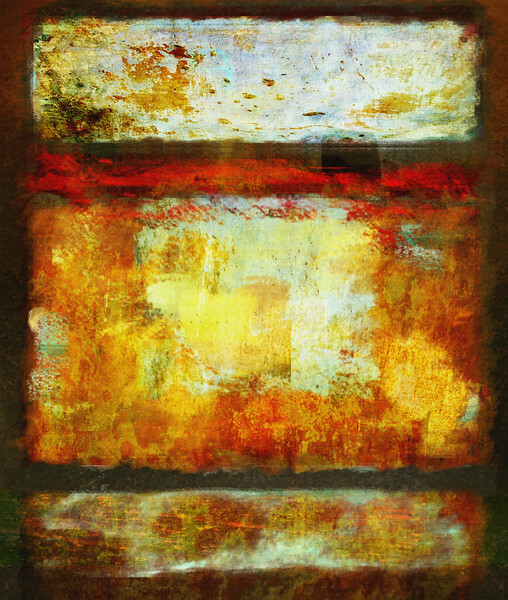 A STANDOUT IS A CONTEMPORARY MOUNTING OPTION THAT DOES NOT REQUIRE FRAMING. 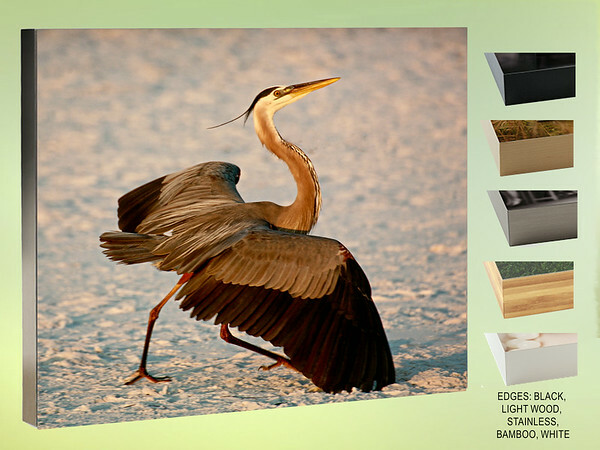 THE SLEEK EDGES AND SIDES OF THE STANDOUT MOUNT CAN CREATE A MODERN WALL DISPLAY WITH THE FOCUS ALL ON THE IMAGE. 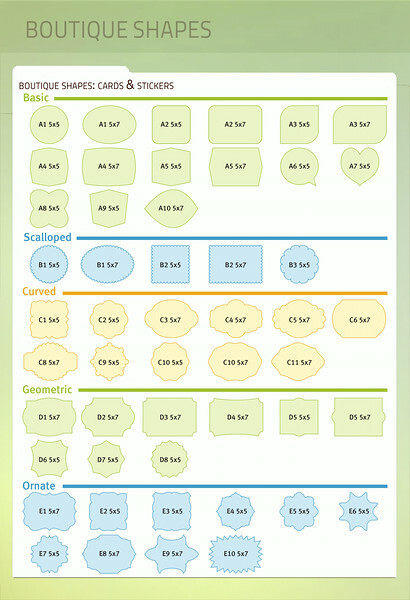 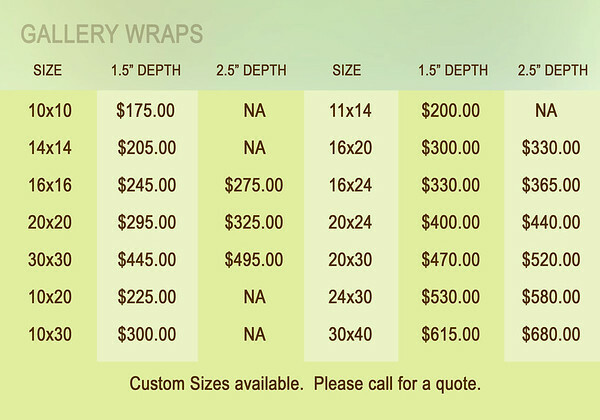 STANDOUTS ARE AVAILABLE IN TWO DEPTHS, AND CAN BE BANDED IN FIVE DIFFERENT EDGE TREATMENTS. 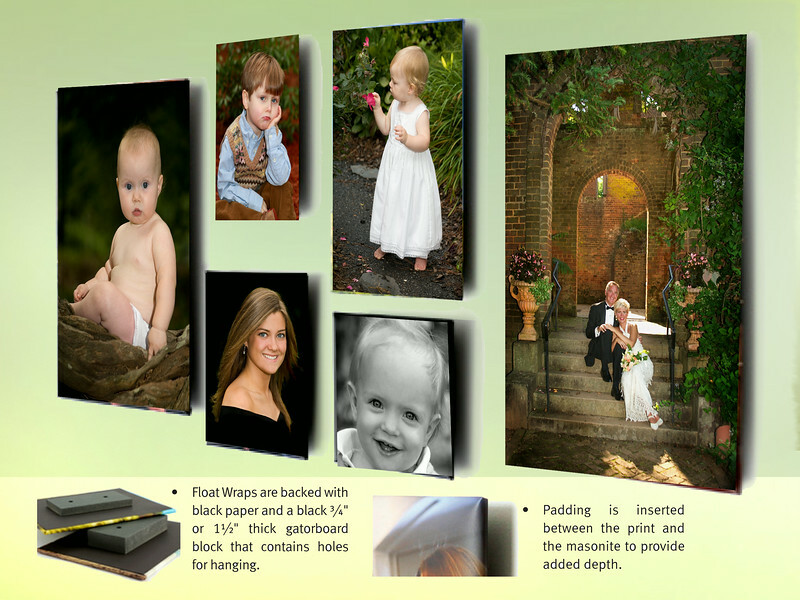 FLOAT WRAPS ADD DIMENSION TO YOUR DISPLAY BY EXTENDING THE IMAGE OUT FROM THE WALL. 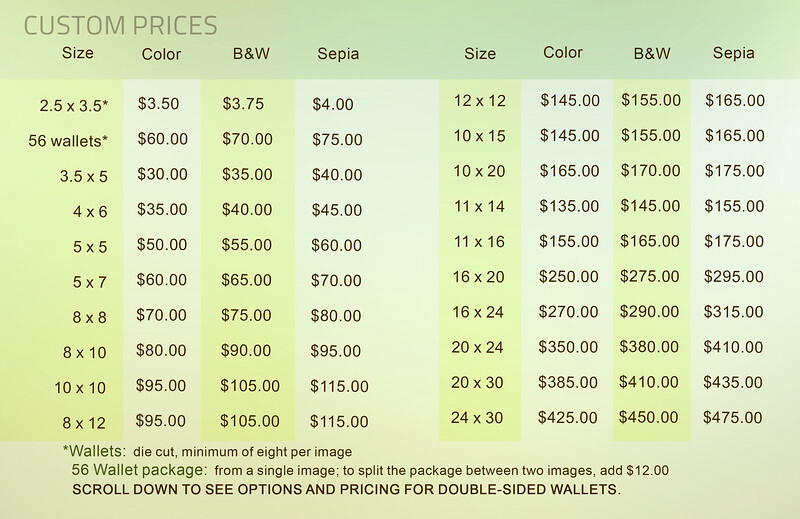 THE CANVAS PRINT IS PADDED, COATED WITH A PROTECTIVE LAMINATE, WRAPPED AROUND MASONITE, AND BACKED WITH BLACK PAPER. 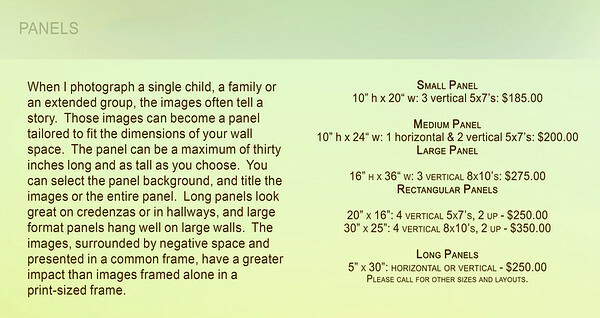 FLOAT WRAPS CAN BE DISPLAYED ON AN EASEL OR BACKED WITH A BLOCK TO FACILITATE HANGING. 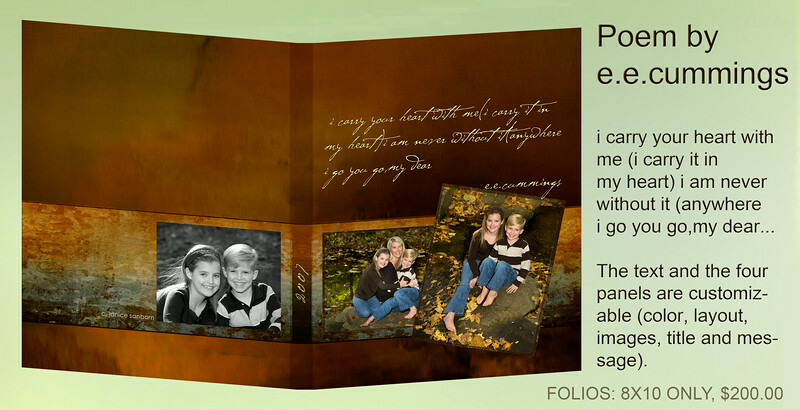 FOLIOS ARE A GREAT TABLETOP OPTION, AND BE BE VIEWED FRONT AND BACK, SO THEY ARE PERFECT FOR TABLES IN THE MIDDLE OF THE ROOM. 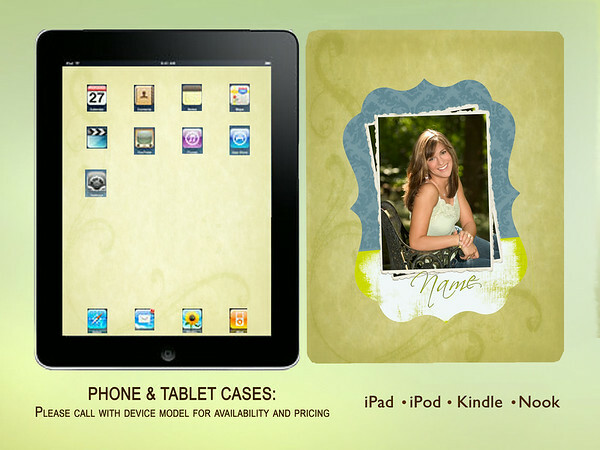 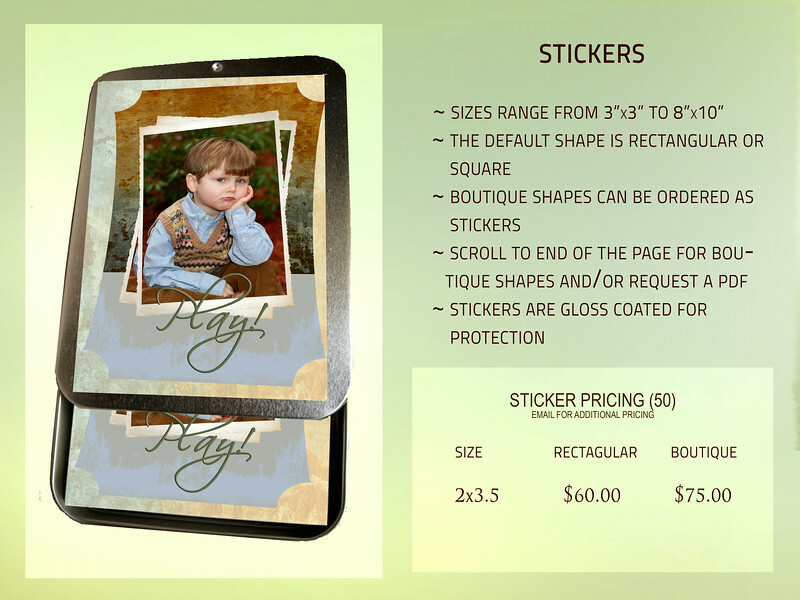 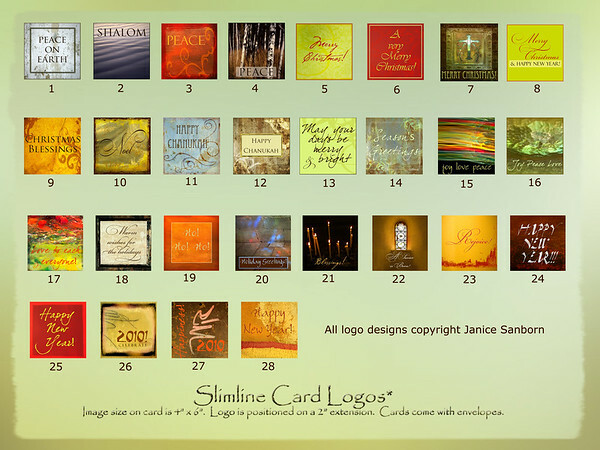 ALL FOUR SIDES CAN BE CUSTOMIZED, AND IMAGES ARE MATTE LAMINATED FOR PROTECTION. 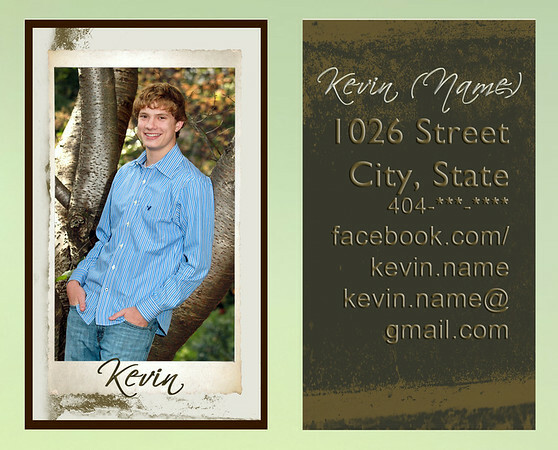 please call or email with link and password for upload.